Students prepping for a Q&A session with ER. 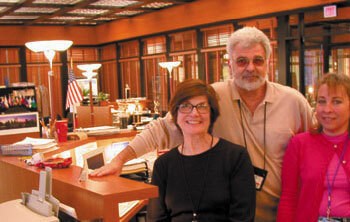 Production Designer Ivo Christante, Set Decorator Tim Colohan, Buyer Dorit Oberman and Leadman Tobey Bays. Photo by Ellen Brill. 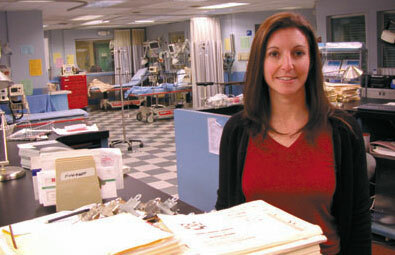 ER - SDSA Associate Member Dorit Oberman, Set Dressing Buyer for ER, served as a docent. Photo by Ken Haber. Without A Trace. 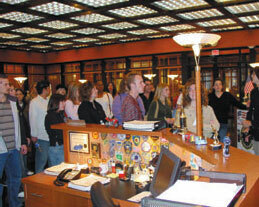 Guests touring the set of WITHOUT A TRACE, a high-tech fantasy version of FBI headquarters in New York City. Set Decorator Jeannie Gunn’s detailed realism was evident throughout the set. 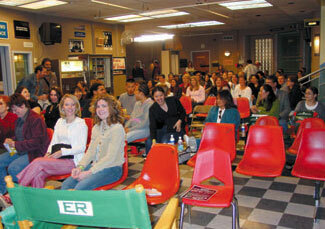 [SET DECOR Winter 2003] Photo by Ellen Brill. 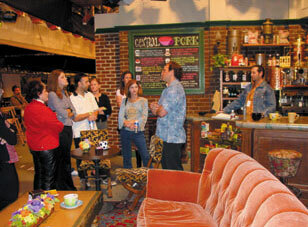 On the set of WITHOUT A TRACE, from left: Set Decorator Jeannie Gunn; John Rettino, WB Property; and Amy Hilker, WB Facilities Marketing. Photo by Ken Haber. Friends. 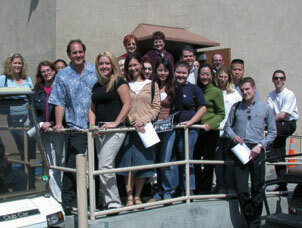 Set Decorator Greg Grande and a tour group from Day with Set Decorators. Photo by Ken Haber. WITHOUT A TRACE. Numerous DWSD volunteers, from committee members planning the event to mentors guiding the groups, shared aspects of set decorating with those literally following in their footsteps. Special credit goes to Tracy Balsz and her colleagues at Warner Brothers Marketing, for making this special day possible.